Trying cuisine from other countries is always an adventure. But if you are not familiar with the food of India, maybe you don’t know where to begin or what your food even is! 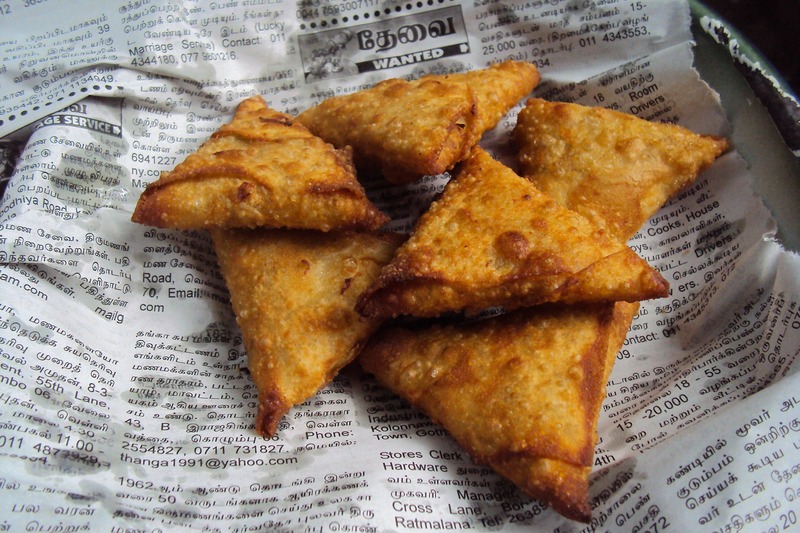 There are different styles of food and ingredients based on the region of India. On top of that, spices and herbs are used differently in recipes all over the country, so trying to figure out what’s in your food can be a difficult challenge for tourists. But the basics are pretty simple, so even if you’re uncomfortable placing your order, you can find something familiar in your Indian dish that you choose! Naan is a flat, puffy, roundish piece of bread eaten by many in India everyday. Often it’s used for dipping, as sauces are a huge part of Indian meals. Think of French bread in France and biscuits in the Southern parts of the United States, Naan is a staple bread of India. 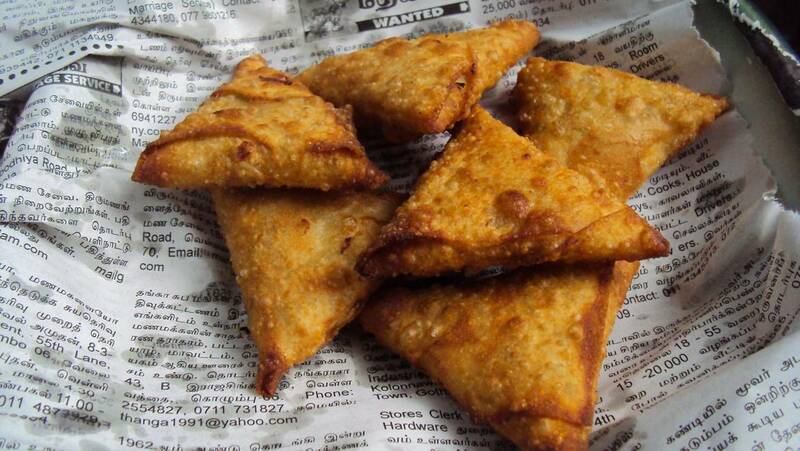 Samosas are India’s version of empanada or fruit turnovers. 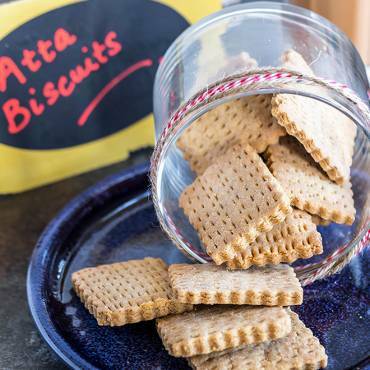 It is a portable staple in India and throughout South Asia. Whether they are fried or baked, inside you can find a variety of vegetables, such as potatoes, peas, and onions. When you order one, your waiter will ask if you want it spicy or even more seasoned beyond that. You may want to hold back on the “spicier” version if you are unsure about what to expect. This is one of the two most prevalent sauces in India. Chutney is any sauce made from fruit or vegetables and various spices. The red version is tamarind (a tree legume fruit), and the green chutney is made either from mint or coriander, which is cilantro seed. You can compare chutney to Mexico’s own salsa! which often happens when you try new Indian foods. 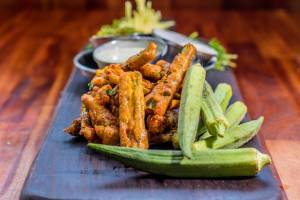 Pakora is another well-known Indian dish, which is like Japanese tempura or fried okra in the South. Batter-dipped vegetables are more common in India, as the majority of the population is vegetarian. Some of the most often used vegetables are eggplant, potato, spinach, onion, and cauliflower. Not only does Indian fare include desserts, but they have desserts that much like the donuts you see in the U.S. Gulab Jamun are small balls of dough that are fried and coated with glazed syrup and rosewater. Much like a glazed donut, gulab jamun is a crowd favorite in India. Every country has its version of pudding, and India’s version is called Kheer. Kheer is a rice-based pudding that can be served plain or with added toppings such as cardamom, pistachios, raisins, and whatever else you want! If mangos are a favorite of yours, try a mango lassi! Lassi is India’s smoothie often created with yogurt and fruits of your choice. 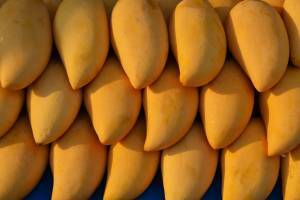 Mango is one of the most popular fruits in India and is often served in many desserts there! There are tons of ways to eat Indian food, but these are some of the most basic foods you can find and even make on your own! If you’re wanting to try Indian cuisine for the first time, you can visit a local Indian restaurant or take a stab at it in your own kitchen by visiting your local Indian grocery store, Pioneer Cash & Carry, to find all of the ingredients you need! Not a Novice to Indian Food?